AirBnb isn’t as easy as you think. The headaches continue to grow. Where it will be permitted, the permitting fees will continue to grow. Landlord Hank Freid faces a string of new violations for allegedly listing illegal short-term rentals in another Upper West Side building. The city hit Freid with 15 more violations — at $1,000 a pop — for advertising units at an apartment building turned hotel at 258 West 97th Street, a city spokesperson told The Real Deal. Units in the building were advertised on various sites, including Expedia and Kayak, and guests who were interviewed paid various prices for their stays — including $800 for a week and $400 for five nights. An attorney for Freid, Ronald Rosenberg, said the city is unfairly targeting his client as retaliation for fighting and succeeding against other DOB violations at this and other properties. 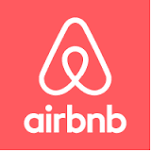 He noted that the city and Airbnb reached a settlement in December that prevents officials from going after the company itself for allegedly illegal advertisements. These violations add to 12 violations Freid received earlier this month for similar alleged offenses at the Marrakech Hotel. Freid was one of the first landlords targeted under a new state law aimed at cutting back on illegal Airbnb listings. In October, Gov. Andrew Cuomo signed off on a law that imposed fines of $1,000 to $7,500 for posting a rental for any term shorter than 30 days if the resident were not present. Freid and real estate broker Tatiana Cames were the first to be penalized under the new law. Freid was accused of illegally listing SROs at the Marrakesh Hotel on several sites.